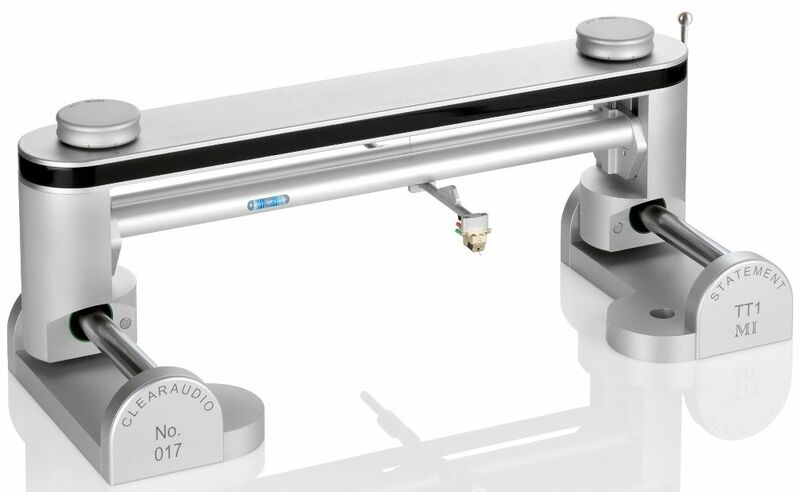 Clearaudio offers a wide range of pivoted and linear tracking tonearms to fit any need and any budget. You can find everything here: fixed pivot models, a unipivot model, linear tracking models, and even models with magnetic bearings. With every model you will find quality and performance that you can see and hear. Order ANY Clearaudio turntable and tonearm combination and receive 5% off the purchase price! Call us at 573-696-3551 or email us at info@audiointelligent.com for answers to your questions about analog and Clearaudio. The Satisfy Aluminum Tonearm offers most of the performance of the venerable Satisfy Carbon Fiber while saving some money. The Satisfy Aluminum is supplied with a hardwired Clearaudio SmartCable tonearm interconnect. 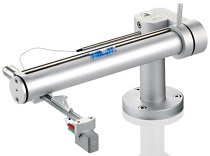 Download the Satisfy Aluminum Tonearm owner's manual here. The Satisfy Carbon Fiber Tonearm offers real audiophile performance at a reasonable price. The Satisfy Carbon fiber is supplied with a hardwired Clearaudio SmartCable tonearm interconnect. 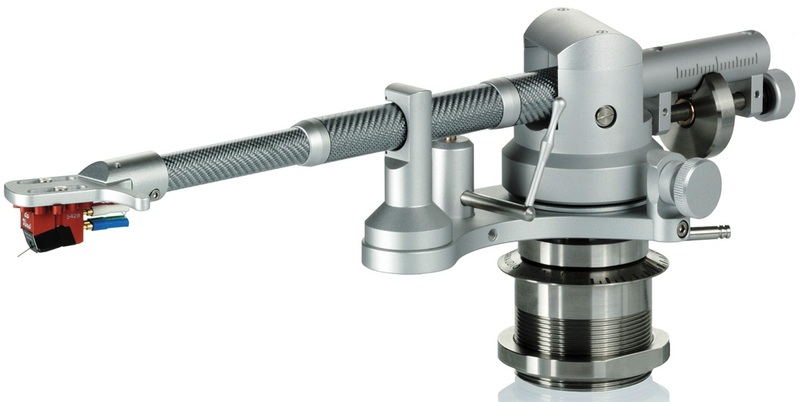 Download the Satisfy Carbon Fiber Tonearm owner's manual here. The Tracer employs a sapphire horizontal bearing system and a hardened steel ball vertical bearing system to provide smooth and frictionless movement in both planes. The Tracer features a carbon fiber arm tube and Clearaudio’s patented Sixtream Super Wire tonearm cable. Available in either silver or black. Download the Tracer Tonearm owner's manual here. Some of the features of this masterpiece are the flexible use of almost any kind of cartridge, the fine adjustment of the Azimuth, and the fine, repeatable adjustment of VTA, even during playback. The fine scale of adjustment integrated in the counter weight assembly in combination with the detachable headshell, allows an easy and very fast change of various cartridges. Very high precision vertical and horizontal ball bearing units and the use of the lightweight, but extremely stiff carbon fiber are quality and performance features of this tonearm. Download the Universal Pivoted Tonearm owner's manual here. 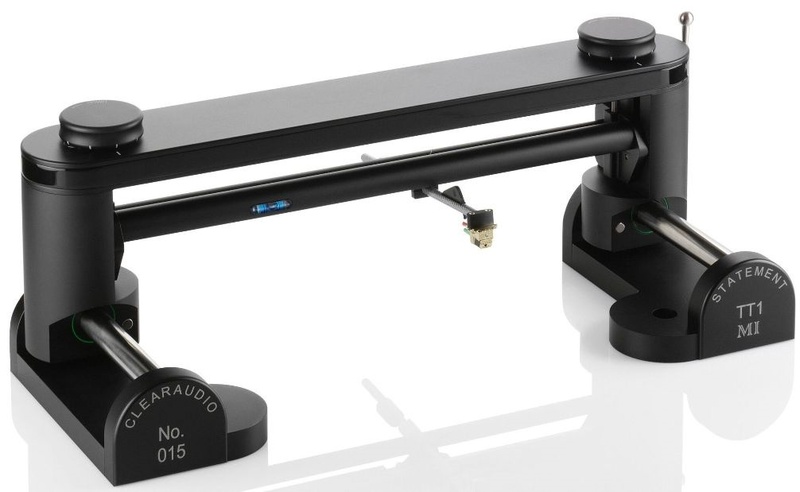 Clearaudio Linear Tracking tonearms are easy to use and provide distortion-free performance. The advantage of a linear tonearm system lies in the distortion free reproduction of the music signal as this exactly depicts what has been "cut" onto the LP. Awkward angle positions inherent in all pivoted tonearm designs are completely avoided with the installation of a Linear Tracking tonearm. Records are cut with a linear system and only linear designs can guarantee error-free reproduction. The TT-5 features a handy swing base, which allows the tonearm to be moved out of the way to change records. Other features include a new rigid design, carbon fiber arm wand, and upgraded ball bearing carriage and polished glass rails. Download the TT-5 Linear Tracking Tonearm owner's manual here. 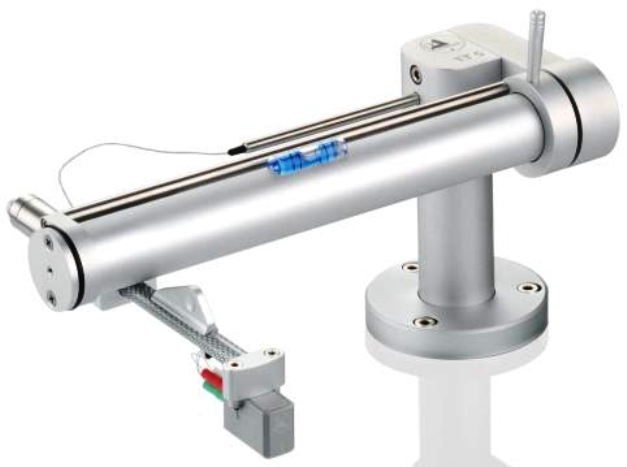 The TT-2 represents the pinnacle of performance in linear tracking arm design. It incorporates some completely new design features, which include a quartz arm wand and quartz shafts for the arm carriage bearings to roll on. The TT-2 truly represents the reference in musical reproduction and replaces the now famous Master TQ-I. Download the TT-2 Linear Tracking Tonearm owner's manual here. The Clearaudio TT-1-MI is a statement level product that is derived from the TT-1 that is standard equipment on the Clearaudio Statement V2 turntable system. The TT-1-MI is designed to fit the Clearaudio Innovation Series turntables, and will take those models to a new performance level. The TT-1-MI can be retrofitted to existing Innovation Series turntables. The TT-1-MI comes with an integral 2 meter phono cable, which can be terminated with XLR connectors upon request. It is available in either a silver or piano black finish. Download the TT-1 Linear Tracking Tonearm owner's manual here.